Dr. Leonard’s Fungus No More is an anti fungal treatment has been clinically proven to treat fungus infection in the nail area. Moreover, any discomforts such as redness, itchiness and even soreness that are attributed to nail fungus, this product is also keen on treating too. The function of this product is to ensure that fungus will be diminished or removed and will stop its spread to other toes and fingers. 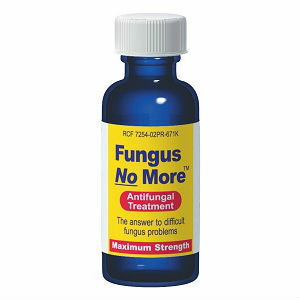 You can say goodbye to fungus with this product. 1% clotrimazole USP: This helps in killing fungal agents in the affected area. Barbadensis Leaf Juice: It is a soothing agent that helps relieve skin irritation and itchiness. Alcohol: It is a cleansing agent which disinfects and soothes irritation as well. Tocopheryl Acetate USP: This is a Vitamin E substance which helps in ensuring that the skin will be in its best and healthy condition. One should only the brush which has an easy application function which should then be applied to the affected area. One may have to ask the dosage from the doctor as the amount to be applied may greatly vary depending on how severe or how mild the fungus infection is. Since the Dr. Leonard’s Fungus No More may also act as a nail lacquer, there are some side effects that may happen. This would include the brittleness of the nail and the discoloration of the nail. At times, it may even cause to nail breakage. It costs $9.99 which is already a discounted amount from its original retail price of $19.95. However, if you become a member of ShopMart, you may be able to have it only for $9.49. The product may be returned and that a 100% full money back is guaranteed. Dr. Leonard may have to work on their PR, since most people would complain of the not so effective effects that it can bring. Jack Stevens	reviewed Dr. Leonard's Fungus No More	on January 18th	 and gave it a rating of 3.